You're currently using an older browser and your experience may not be optimal. Please consider upgrading. Learn more. Shot of Hay Bales in winter. 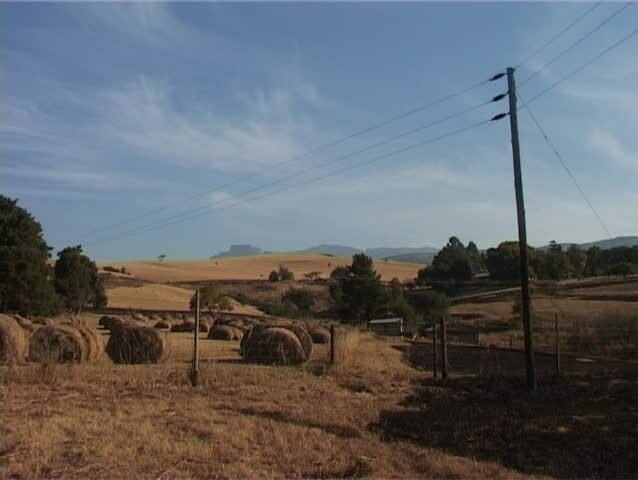 In the distance are the uKhahlamba/Drakensberg ("Barrier of Spears" in Zulu and "Dragon Mountains" in Dutch). 4k00:16Highway with large sun at 120 fps slow motion near Austin, Texas. hd00:15Kalaw, Myanmar – 16 February, 2017: An ox cart comes along a rural farming road on the high, fertile farm land near Kalaw, Myanmar. hd00:07Harvester combine load ripe corn plants into tractor trailer on October in Birzai, Lithuania. Agricultural works in autumn field. Food production. hd00:07Harvester combine load ripe corn plants into tractor trailer. Agricultural works in autumn field. Food production. hd00:30Space background. Camera is flying through the blue and magenta coloured nebula. The stars are everywhere around. Looped video. 4k00:14Time lapse of vegetable seeds growing or sprouting from the ground. 4k00:294K-UHD - Extreme lightning storm timelapse over the moonlit Florida ocean at night. hd00:06Time-lapse video of an intense rotating supercell thunderstorm, with impressive lightning strikes, dark skies and mesocyclone storm structure. hd00:20Beautiful slow sunrise from Earth orbit. View from ISS. Clip contains earth, sunrise, space, sun, awaken, clouds, water, sunset, planet, globe. Images from NASA. Over 14,583,997 royalty-free video clips with 146,107 new stock clips added weekly.